Classified » Business & Office » Businesses for Sale » Save Today!! ??? 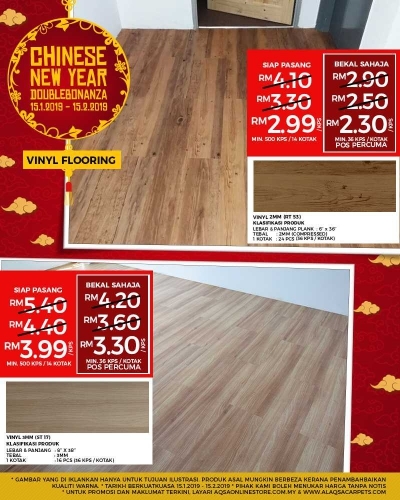 ?enjoy 20% Off On Wood Vinyl Flooring!! SAVE TODAY!! ??? ?ENJOY 20% OFF ON WOOD VINYL FLOORING!! Wood flooring adds warmth and beauty to any home. It's easy to care for and clean, and can last through many generations of use.